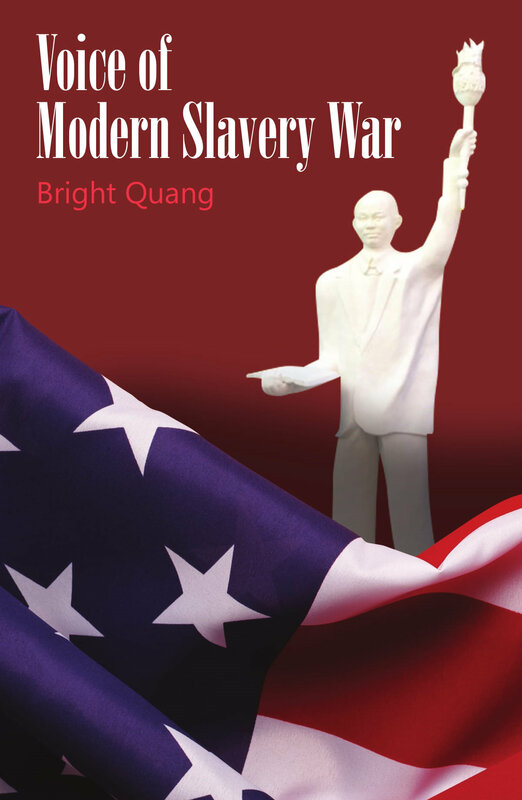 Voice of Modern Slavery War of Bright Quang, struggles for one’s self, because of no one of parents of the world has was born a child who was servicing war for a world power, but without benefits. When it’s been enacted for the statutory by its Constitution, but, it has never performed its constitutional Rights. Quang, he has been creative for the seventeen books; whilst, he’s poet, sculptor and specialist painter. He’s inmate of War Power of the America without pays benefits, come to the America in November 23, 1993, graduated Bachelor Degree and Nonprofit Management in C.S.U Hayward, East Bay. 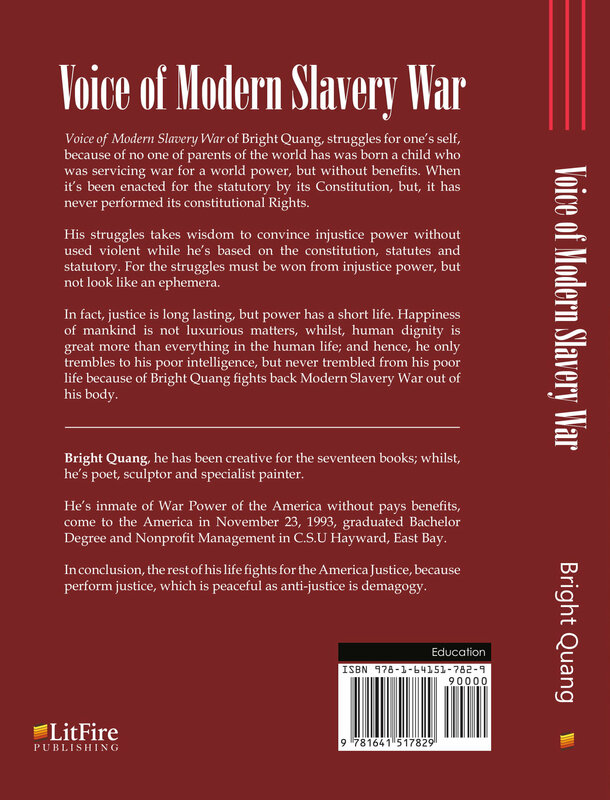 In conclusion, the rest of his life fights for the America Justice, because perform justice, which is peaceful as anti-justice is demagogy.